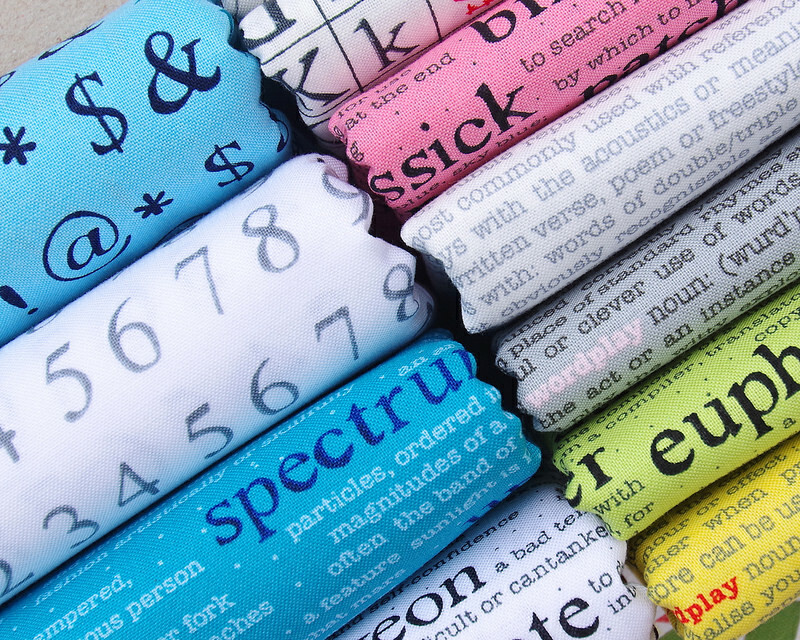 Wordplay is Sarah Fielke's most recent collection for Windham Fabrics. 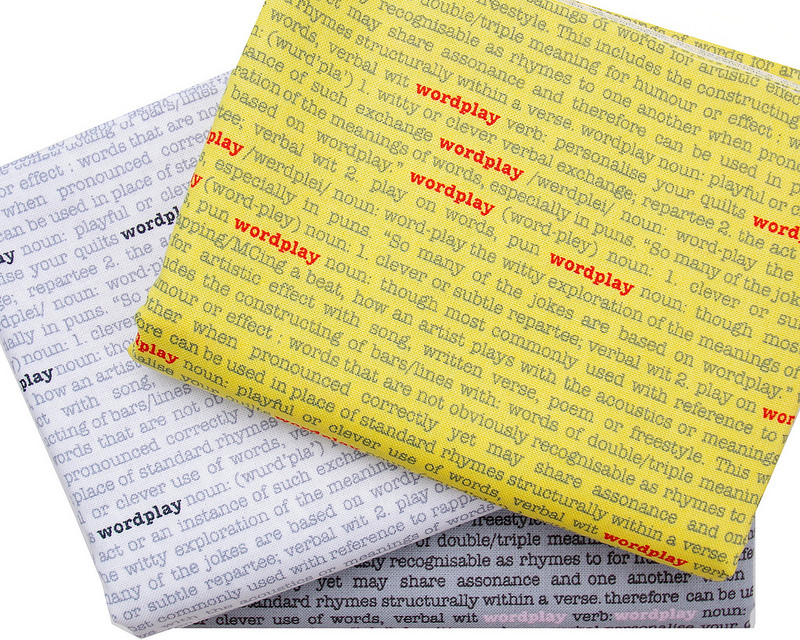 The collection was inspired by Sarah love of reading, of words themselves and most of all, her love of words in quilts! She has always loved to use piecing and applique to incorporate words and phrases into her quilts, and what better way to bring in a touch of modern than with a text fabric. The colorful collection consists of 21 fabrics; six unique designs each available in up to four different colorways. 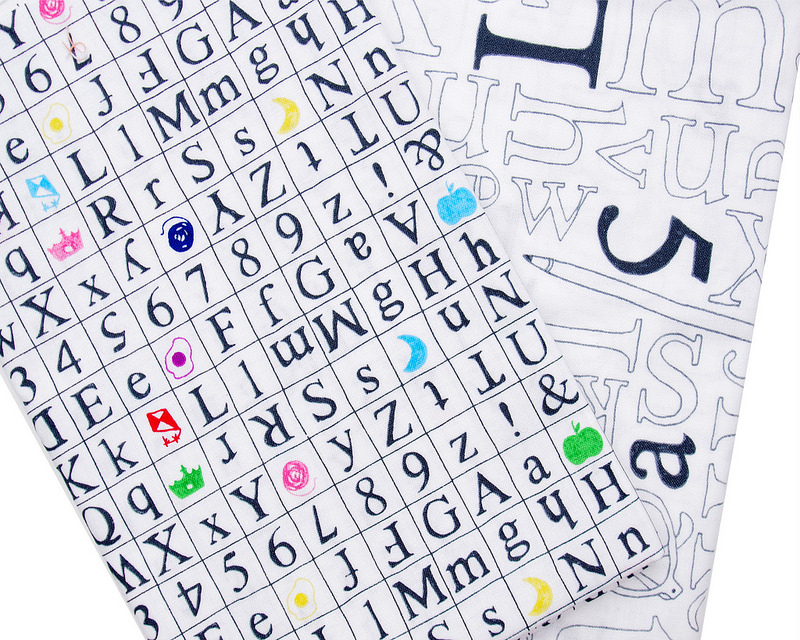 The designs vary and include text, vocabulary, numbers and symbols, as well as a plain grid fabric. I love these designs as well as the fun, bright colors of the background fabrics. (Not all available designs and colorways are shown here). The Fat Quarter Shop 20% off Basic of the Month: Bella Solids by Moda Fabrics, 20% off Books of the Month: Jen Kingwell Designs, 20% off Patterns of the Months: Jen Kingwell Designs. Prices are as marked. Ends 28 February 2018. Fabric Worm Selected Birch Fabrics just $5/yard. Prices are as marked. Ends today Sunday 18 February 2018. AND spend $50+ and save $5 with code redpepper. Every day. Sewtopia 10% off bundles plus an additional 10% off bundles and free US shipping with code GuildsRock. AND Registration for Sewtopia Milwaukee is now open: August 23rd – 26th, 2018. Classes taught by extraordinary and influential women from the modern quilting/sewing world: Tara Faughan and Cathi Bessell-Browne (Outback Wife). All the details here. Pink Castle Fabrics 25% off Solid Fabric with code SOLID25. Ends Monday 19 February 2018. AND pre-order the ultimate Liberty of London Lawn Bundle: a limited edition set of 100 favorite prints (no repeats!) 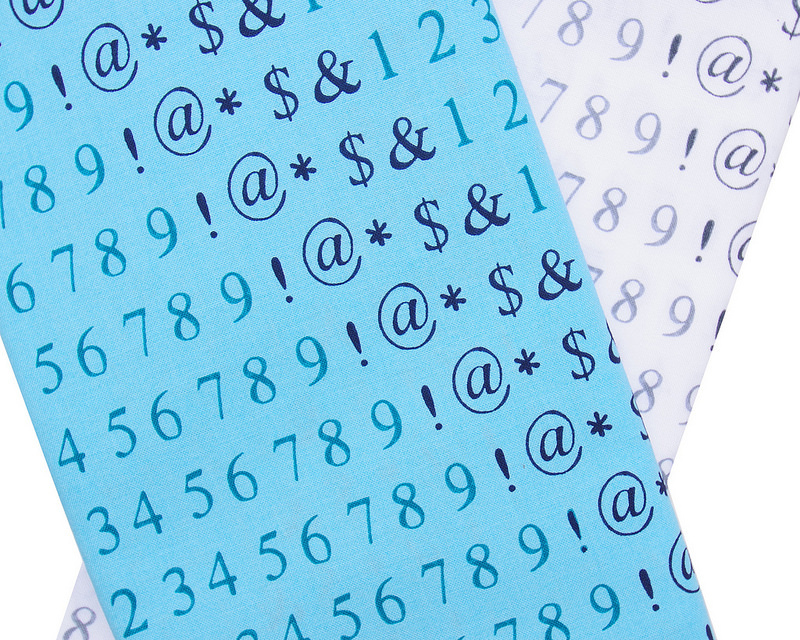 cut into a convenient 6" x 13" size. Valued at $150 and on sale for US$85.00. Stash Fabrics 20% of February Basic of the Month: Pure Elements by Art Gallery Fabrics. Each piece of Pure Elements Cotton that leaves our shop is labelled to make re-ordering a breeze. Stock up for just $7.20 per yard! Prices are as marked. Ends 28 February 2018. Lady Belle Fabric 20-40% off bundles selected bundles. Prices are as marked. Ends today Sunday 18 February 2018. Free US shipping on orders $75.00+. Alice Caroline Shop the Remnant Sale! Up to 50% off remnant pieces of Liberty of London fabric. Stocks are limited. I Love Fabric Just in: Tallinn by Jessica Swift and Sunshine by Alexia Abegg. Fort Worth Fabric Studio 40% off Hatter's Tea Party with code HATTER40. Ends Friday 23 February 2018. Kiwi Fabric (Etsy) Shop the Sale Category! 150+ items reduced to clear. Miss Matatabi Just in: nani IRO 2018. AND $15 Flat Rate international shipping for orders $100+. I like the textfabrics very much. 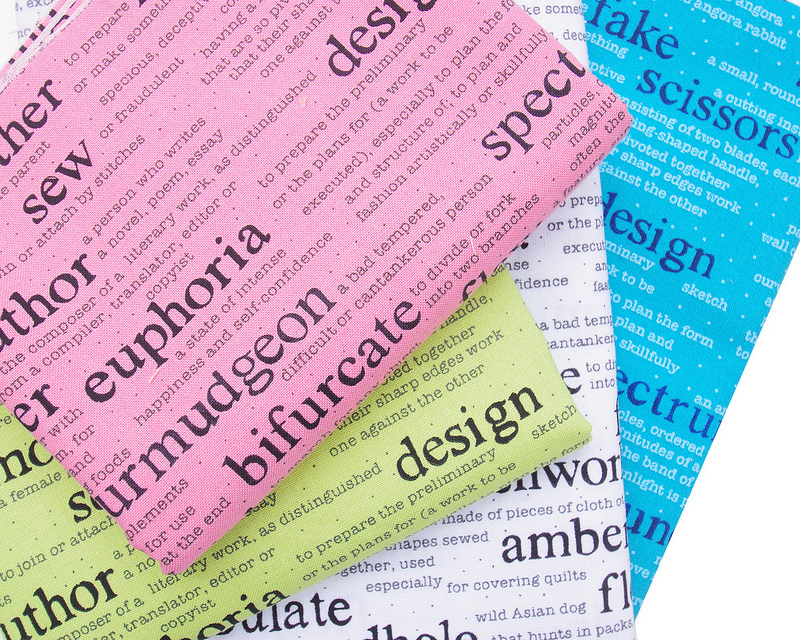 So lively and funny..
A question: what colours from the Kona solids you think are the most versatile (I mean the most useful). Ha, thank you, that's a more philosophcal point of view.